We are excited to sponsor the 2019 NKBA Design Awards gala. 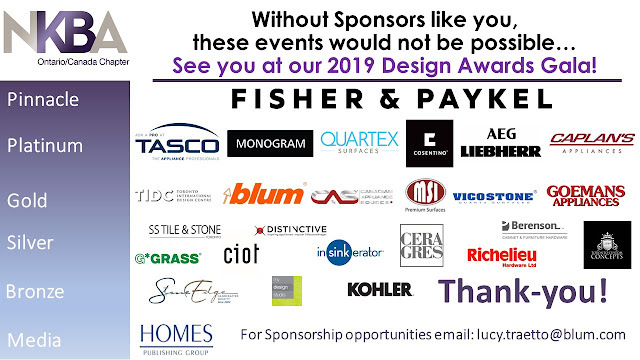 Toronto Custom Concepts will be in attendance during the 16th Annual NKBA Ontario awards gala scheduled for Saturday February 9th at Paramount Eventspace located at 222 Rountree Dairy Rd in Woodbridge. We hope to see you there!